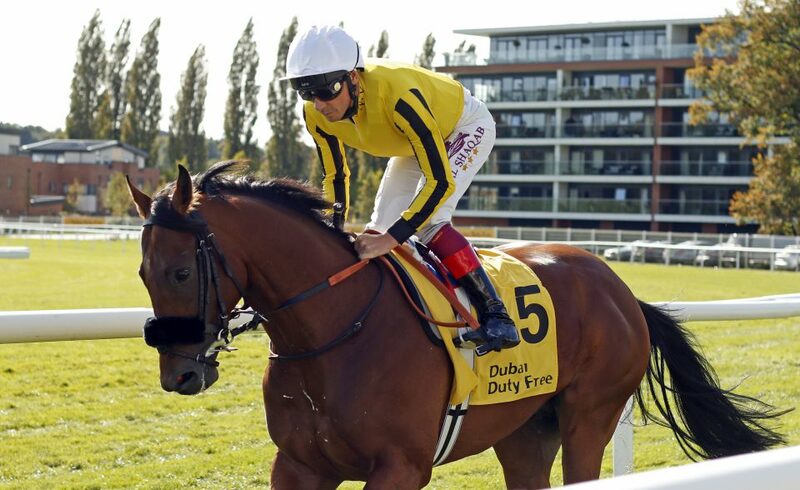 George Scott says victory in Group 1 feature at Haydock would be "extra special on a number of different levels"
George Scott has identified Harry Angel as the biggest threat to his stable star James Garfield in the Group 1 32Red Sprint Cup at Haydock on Saturday week. Scott intends to supplement James Garfield for the QIPCO British Champions Series contest and he is generally 8-1 second favourite after his excellent second to Polydream too strong in the Prix Maurice de Gheest at Deauville last time. “I think it was a pretty amazing run in France, he blazed a trail against many Group One winners and led them a merry dance for most of the race,” Scott said on Thursday at his Newmarket base. “It was a massive step up on what he had done. “On reflection I am delighted with him and how he has progressed. I’m still disappointed he didn’t win in France, but hopefully he can put that right in Group 1 company on this occasion. “Anything involving James Garfield is special to us, as he has flown the flag for us and was bred by the Gredley team and we’ve had a lot of fun with him. Harry Angel was a brilliant winner of the race last year and is on course to defend his crown after his unfortunate defeat in the Diamond Jubilee Stakes at Royal Ascot when he got his foot stuck in the stalls. “Preparation is really important and we’ve come in off the back of a career-best run and he [Harry Angel] is coming in off the back of a disappointing effort,” Scott said. “However, he has got a perfect record at the track. “He is well clear on the ratings and has proven himself as a Group 1-winning sprinter more than once, therefore he looks to be the one to beat. Scott added the the QIPCO British Champions Sprint on October 20, at Ascot on QIPCO British Champions Day, is also likely to be on the agenda for James Garfield.